What is Kyusho Pressure Point Anatomy? Have you ever wondered as an example what BL-55 does? Or perhaps ST-15? There are over 350 pressure points on the human body and each has its own purpose. And they can be classified as destructive or healing. But the problem is how do you know the difference? What function does each point have and what if anything happens when I hit it? In walks Kyusho Pressure Point Anatomy. And how do I hit it? 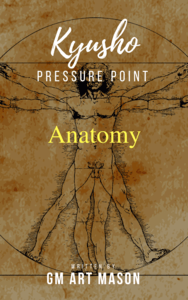 This all new eBook called Kyusho Pressure Point Anatomy will cover everything you need to know about EVERY pressure point on the human body! It will truly be the Grey's Anatomy of Kyusho Jitsu. Kyusho Pressure Point Anatomy is the ULTIMATE reference book for expanding your knowledge of the science of pressure point self defense and helping to tailor it to your root style of art! This eBook is expected to be about 200 pages of information, pictures and diagrams! The final edition is now online and can be ordered for immediate download. Spanish will be coming within a few more weeks. However you can PreOrder the Spanish edition and same right now! Read About ST-09 From the Book by Clicking Below! What "Sneak Peak" reader have to say! Very very good. I've been watching videos from Kyusho Jitsu master Scott Rogers and Paul Bowman. My jaw was on the floor. I have explored some of those pressure points on my own body and yes i do feel something there. I can do this all day. I love it. Wow. VERY. Some of those terms of the anatomy i have to look up to locate pressure point but the meridian itself is self explanatory. 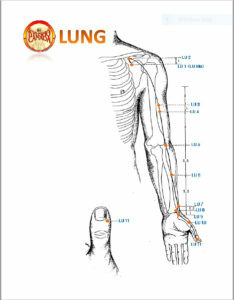 It is good for the basic knowledge about acupuncture (acupressure) points. Was the book detailed enough? Yes, it was. I can recommend it to the Kyusho Jitsu Students. Order Both Languages from this Link Now! Use the form below and Subscribe NOW to the Information List for Kyusho Pressure Point Anatomy! Information on release dates, and other offers. Sign Up Now and Get "Sneak Peak" Now!